Honda and Hitachi have joined forces in developing a combined breathalyzer and automobile smart key. According to Honda, the device has been designed to be tamper-proof and able to differentiate between human breath and alternative gases. It is also said to accurately measure alcohol level in three seconds, and the reading will then be displayed in the car’s information panel. 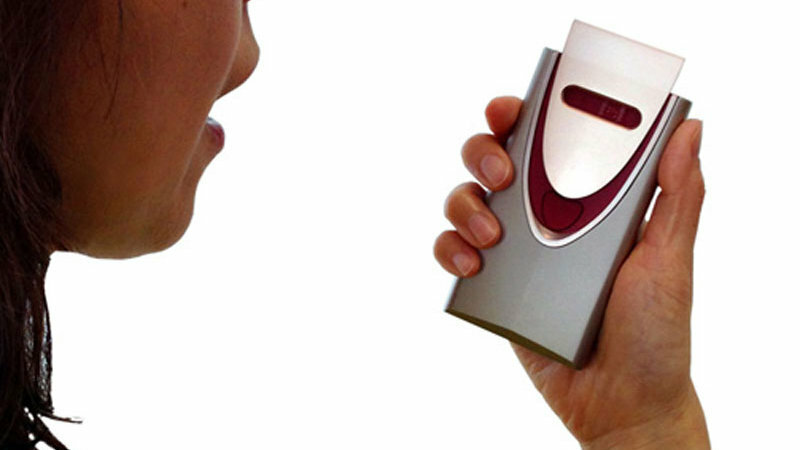 Ignition interlocks that integrate an alcohol detector are becoming more commonplace. For example, in Japan professional drivers are required to pass a breathalyzer test before beginning their shifts, and development for a detector-controlled ignition interlock has been launched by the National Highway Traffic Safety Administration in the US. While the images released by Honda show the device to be relatively bulky and about the size of a mobile phone, it is still a prototype under development. Honda also notes that the breath test doesn’t need to be performed inside the car, but it can be done at home – reducing the temptation to get behind the wheel while under the influence of alcohol.